A most heart-warming story! Beats the heck out of murders, politics and terrorists! This was sent in by John Hurlburt for Jean who has been a bit of a ‘horse lady’ in her times and is devoted to the two miniature horses we have here in Oregon. 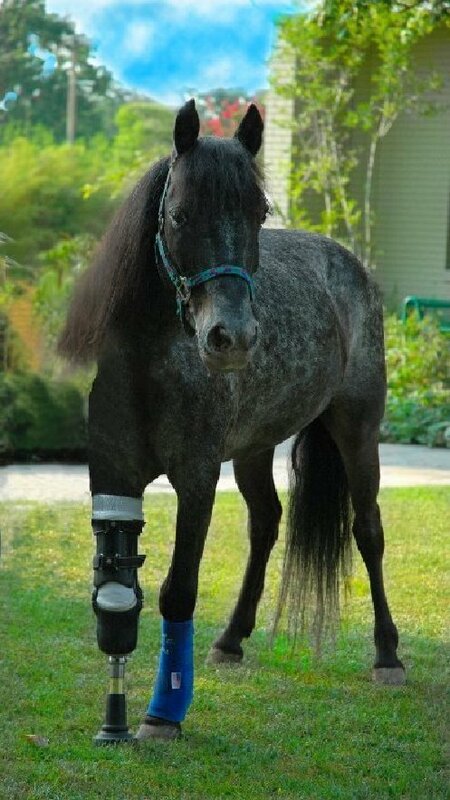 Molly is a gray speckled pony who was abandoned by her owners when Hurricane Katrina hit southern Louisiana . She spent weeks on her own before finally being rescued and taken to a farm where abandoned animals were stockpiled. While there, she was attacked by a dog and almost died. Her gnawed right front leg became infected and her vet went to Louisiana State University (LSU) for help. However, LSU were overwhelmed and Molly became a ‘welfare’ case. You know where that goes, don’t you! Then surgeon Rustin Moore met Molly and changed his mind. He saw how Molly was careful to lie down on different sides so she didn’t seem to get sores. He saw how Molly allowed people to handle her. She protected her injured leg. She constantly shifted her weight and didn’t overload her good leg. She was a smart pony with a serious survival ethic. Surgeon Moore agreed to remove her leg below the knee and a temporary artificial limb was built. Molly walked out of the clinic and, in a very real sense, that’s where her story really begins. “This was the right horse and the right owner!” Moore insisted. Molly happened to be a one-in-a-million patient. She’s tough as nails, but sweet, and she was willing to cope with pain. She made it obvious she understood that she was in trouble. The other important factor, according to Moore , is having a truly committed and compliant owner who is dedicated to providing the daily care required over the lifetime of the horse. Molly’s story turns into a parable for life in Post-Katrina Louisiana. The little pony gained weight and her mane finally felt a comb. Then, amazingly, a prosthesis designer built her a leg. And she asks for it. She will put her little limb out and come to you and let you know that she wants you to put it on. Sometimes she wants you to take it off too. And sometimes, Molly gets away from Barca. “It can be pretty bad when you can’t catch a three-legged horse,” she laughs. This is Molly’s most recent prosthesis. Wherever Molly goes, she leaves a smiley hoof print behind. Literally as well as metaphorically. 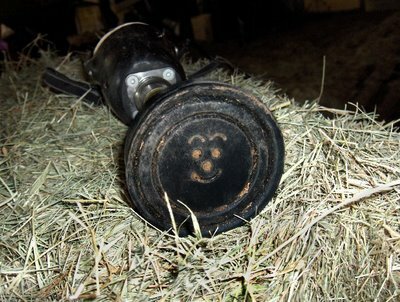 The photo shows that the bottom flat surface of the prosthesis has a smiley face embossed in it! Leave you with that wonderful feeling of love for Molly? Feel free to share it with all the animal lovers that you know. Please take two minutes to read this now. Many who follow this Blog will know that my beautiful wife, Jean, is totally devoted to dogs, especially rescue dogs. Over the years that she and her previous husband Ben lived in Mexico, Jean must have rescued at least 70 dogs. Even today, we have 11 ex-rescue dogs enjoying a fabulous life in our mountain home here in Payson, Arizona. So it was a big surprise to come across a dog rescue organisation called Tara’s Babies and find that their sanctuary is in our neighbourhood. Here’s a description of the organisation taken from the local newspaper from September 9th, 2009. It has been nearly five years since Tara’s Babies Animal Welfare began rescuing animals displaced by Hurricane Katrina. Tara’s Babies operates a no-kill animal rescue and sanctuary “off the grid” at the Ellinwood Ranch, near Young. Anyway, Alan Hudson left a comment a few minutes ago to the effect that Tara’s Babies is closing. Confirmed by going to their website. The reason why this post is being published straightaway is because of the urgent need to find homes for 24 dogs. Take a look at those dogs; please! I’m republishing what you can read on the Tara’s Babies website – please share this news as far and wide as you can. These dogs need good homes. Tara’s Babies began in 2005 as a desperate cry from New Orleans after Hurricane Katrina left thousands of dogs and cats, homeless and suffering. Our founder sent a crew of volunteers to search the flooded buildings for animals in need. We rescued 17 dogs and a kitten. and thus began Tara’s Babies Animal Welfare (TBAW). While down there, we paired with Best Friends and arranged an airlift to bring 150 dogs and cats from Tylertown, MS to Phoenix, AZ. Waiting at the airport when we arrived was a cattle transporter, volunteers and SUV’s to take the animals to Dakini Valley, AZ. Our sanctuary at Dakini Valley is located on 157 acres in the remote Hell’s Gate Wilderness. Here the dogs and cats were cared for with love and attention three full-time volunteers until every one of the Katrina dogs were re-homed or found forever homes, with the exception of 15 dogs who were non-adoptable needing lifetime sanctuary. As the original Katrina animals were placed, we found our true mission evolve into saving animals from death row. Since then we have worked tirelessly networking with other rescues, shelters, and sanctuaries to continuously save dogs from death row. Connections were made as far as Taiwan! Pipi, a Taiwanese dog, was brought to our sanctuary through this connection. We have had as many as 71 dogs at once at the sanctuary. 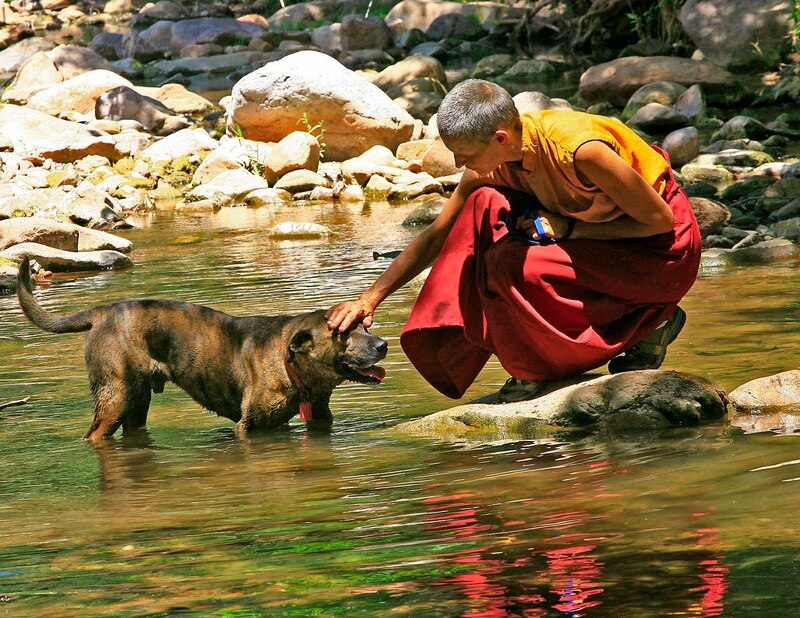 Even those dogs considered non-adoptable, who are human or dog aggressive, have benefited from the peaceful surroundings of the land and our love. These dogs have demonstrated good behavior with their caretakers and some have even been paired with a companion dog. Due to unforeseen medical and other issues we lost our director and several volunteers bringing the number of volunteers down to only one. Out of concern for the safety of the dogs coupled with ongoing financial difficulties, the Tara’s Babie’s board made the difficult and heartbreaking decision to close our doors. We will continue to lovingly care for each of the dogs until ALL are placed. Please help the remaining dogs at the sanctuary. Click HERE to see them!. If you can help us with adoptions or placement in another sanctuary please contact us at wggnrclr@yahoo.com or call 928-301-1392. You can also visit our Facebook page for photos and stories. Once again, if there is anything you can do, please be in direct contact with Tara’s Babies. Feel free to leave any comments or news here. Reading Planet Earth, part One. An unmissable series of four 1-hour videos from National Geographic. In my summary yesterday of what had come out of the Posts about man’s influence on the planet, I wrote, “But one of the most wonderful aspects for me was the incredible sharing of ideas and resources.” I then gave many details of those resources. One of the great links was a blogsite called Dogs of Doubt. On that blogsite I came across an item published on the 8th March, called Strange Days on Planet Earth. With permission I repost how that item was introduced. While the average global temperature on Earth has increased by 1 degree Celsius in the last century, in some places on Earth the temperature has increased by a phenomenal 11 Degrees, for some species, already adapted to life as it has been for millions of years such changes puts them in great danger. Inter-species transfer from one continent to another through what many thought were harmless human activities has placed great pressures on the survival of local animals, insects and even plants, all of which were not prepared for the arrival of newer, more aggressive species. In many areas of the world some ocean species are actually relocating themselves in order to survive the loss of their food resources and habitats due to the warming of the oceans. Herds of animals are vanishing as they struggle with warming temperatures which bring in longer breeding seasons for many insects in turn affecting the living standards and health of the many animals they attack. On land and across the world entire lakes are either disappearing or being reduced in size through the effects of long lasting droughts, the lack of rain waters in some parts is changing much of our surrounding environment and the dust this causes in some parts of the world is affecting the health of children thousands of miles away. In the oceans plankton are down 20% to what they were in the 1950s, when the waters are cold they do well but now that the waters are warmer their numbers are falling drastically. Every little change that occurs on earth through global warming might not mean much to some, but all these changes will eventually add together until our environment reaches a breaking point from which none of us may survive. This video series from National Geographic aims to create an innovative type of environmental awareness by revealing a cause and effect relationship between what we as humans do to the Earth and what that in turn does to our environment and ecosystems, the series creates a new sense of environmental urgency. Each of the four episodes is constructed as a high-tech detective story, with the fate of the planet at stake. Jean and I have watched the first two episodes in full and are about 60% through the third. They are both spell-binding and eye-opening. I believe they were first aired by PBS back in 2005 but, no matter, they are even more relevant today. So for today and the rest of the week I shall provide a link to the YouTube copy of each programme. 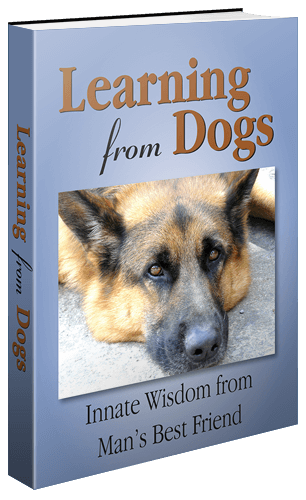 Please, if you can, do put aside an hour to watch each video and, even better, please give us your feedback to Learning from Dogs. The first episode is called Invaders. Around the globe, scientists are racing to solve a series of mysteries. Unsettling transformations are sweeping across the planet, and clue by clue, investigators around the world are assembling a new picture of Earth, discovering ways that seemingly disparate events are connected. Crumbling houses in New Orleans are linked to voracious creatures from southern China. Vanishing forests in Yellowstone are linked to the disappearance of wolves. An asthma epidemic in the Caribbean is linked to dust storms in Africa. Scientists suspect we have entered a time of global change swifter than any human being has ever witnessed. Where are we headed? What can we do to alter this course of events? National Geographic’s Strange Days on Planet Earth, premiered on PBS, explores these questions. Drawing upon research being generated by a new discipline, Earth System Science (ESS), the series aims to create an innovative type of environmental awareness. By revealing a cause and effect relationship between what we as humans do to the Earth and what that in turn does to our environment and ecosystems, the series creates a new sense of environmental urgency. Award-winning actor, writer and director Edward Norton (Primal Fear, American History X, Italian Job) hosts the series. A dedicated environmental activist, Norton has a special interest in providing solar energy to low income families. Each of the four one-hour episodes is constructed as a high-tech detective story, with the fate of the planet at stake. Dan Gomez offers up an alternative view. Many of you read the post I called Please help! that came out exactly a week ago. If you were one of those readers you will have read how Dan and I go back 33 years. In many ways we see eye-to-eye but not over mankind’s influence over the climate of our Planet. To be clear, my own view is that we are very close, if not already past, the point of preventing a massive collapse of the biosphere. Dan believes that we are living through possibly the biggest hoax in history. Dan, however, has been willing to provide evidence that supports his view and has given me permission to reproduce some of his emails to me. That’s generous of him – thanks Dan. PH – I guess I could write all day and provide numerous scientific papers and positioning that would repudiate a lot of the popular press on “Global Warming” or “Climate Change”, if that is more PC. Read a little from the good Senator below and then I’ll buy you HIS book. This is all about money and power, not weather. As the Senator points out, when he saw that the “Cap and Trade” bill was shot down, he stopped commenting. Then, more and more regulation from the UN and EPA Agency provoked this new book. Once again, the science is at best moot and at worst fraudulent. Each of us must make up his own mind. Global climate cooling or heating will continue operating under geological time rules and, oh yeah, the Sun, Oceans and Regional Oscillations contribute a little. As long as world governments don’t take public money or redistribute public money for their own “climate control” self-interests, I don’t really care. If there was no public money at stake, there would be no controversy. People will continue to build houses below sea level in New Orleans. Another, bigger hurricane will flood them out again. Apparently, we can’t even stop this kind of nonsense through more legislation and then expensive emergency re-routing of public funds. This is part of the reason that the public sector is broke. If private agencies wish to donate money to stop the rising seas or just support related studies, tant mieux. Just don’t add yet another set of agencies and regulations as another layer of big government. This only results in an ever higher tax structure and declining standards of living. Americans are over-regulated and over-taxed. When regulation escalates, the result is an increase in regulators. In other words, bigger government is required to enforce the greater degree of regulation. Bigger government means bigger budgets and higher taxes. “More” simply doesn’t mean “better.” A perfect example is the entire global warming, climate-change issue, which is an effort to dramatically and hugely increase regulation of each of our lives and business, and to raise our cost of living and taxes. 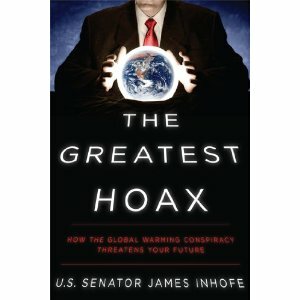 In The Greatest Hoax, Senator James Inhofe will reveal the reasons behind those perpetuating the Hoax of global warming, who is benefitting from the general acceptance of the Hoax and why the premise statements are blatantly and categorically false. There are two questions to answer: Whose science do you want to believe and who profits? My source of direction stems from a natural skepticism of big science when big money is involved. One of the definitions of science is that it is never completely understood and new discoveries as well as new methods of collecting data are ever changing. As we know, new evidence pops up everyday. So, to assume that “my science or your science” is irrefutable relevant to global warming, is not “good science”. Taking billions of global dollars out of private enterprise as well as higher public sector tax in order to “change the world- maybe” is irresponsible and dangerous. Oh yeah, and I forgot, the world’s broke. Ask a Greek plumber or, for that matter, a Greek apparatchik, where global warming fits into his budget decisions……? Before spending trillions that the world does not have, let’s see if we can get the conversation a little more firmed up….. We need to really find out how sensitive the atmosphere, lithosphere and hydrosphere really are – without assumptions. Pretty hard thing to do even with advanced mainframes, GIGO…..
Now the challenge in this Post is not to make it so long that it becomes tiresome on the eyes, irrespective of the content. So I’m going to leave it at this point and, perhaps, next time include some of Dan’s other points and comments in the light of how readers respond to this Post.